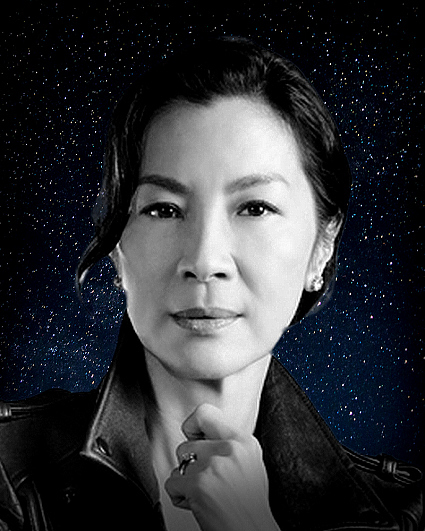 Michelle Yeoh is considered one of Asia's greatest and most successful actresses. Yeoh can be seen in season 2 of the Netflix series Marco Polo as well as the film Crouching Tiger, Hidden Dragon 2, which premiered on Netflix and in IMAX theaters in 2016. Next, she will be seen starring in in the Warner Bros. film Crazy Rich Asians directed by Jon Chu. Yeoh starred in Luc Besson's critically acclaimed The Lady and voiced a role in the DreamWorks animated hit Kung Fu Panda 2. A former Bond girl, Yeoh is best known for her roles in Ang Lee's Crouching Tiger, Hidden Dragon, Rob Marshall's Memoirs of a Geisha, Roger Spotiswoode's Tomorrow Never Dies, and Danny Boyle's Sunshine. Additionally, Yeoh was honored by People Magazine as one of the "35 All-Time Screen Beauties."